If only people could get over the "ick" factor, they might see the potential of an ancient food source: bugs. Insects are a great source of protein, and experts say they could be a way of beating hunger as the world population grows. 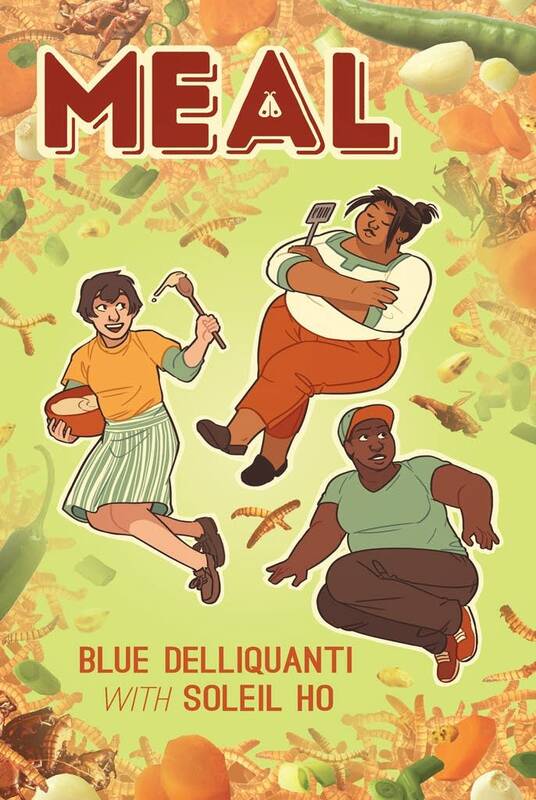 Now a pair of Minneapolis writers have produced a graphic novel called "Meal," which delves deeper into the practice of eating insects. In her Minneapolis apartment, graphic artist Blue Delliquanti leaned into her freezer and pulled out a box. It contained bee larvae she was about to put in an omelet. "Just like little frozen bee babies," she said. Her friend and collaborator Soleil Ho laughed. "They are about the same sizes as the wasps I brought home," she said. The wasps she was talking about came from a wasp festival in Japan — that is, a wasp-eating festival. She was recently named the San Francisco Chronicle's restaurant critic. But she is also well known as the host of the "Racist Sandwich" podcast, which explores the cultural history behind the things we eat. Ho said eating insects, or entomophagy, has a lot of baggage — and it's not just the yuck factor. "Ugh! Where do we start?" she asked, rolling her eyes for comic effect. "In 2013, the United Nations Food and Agriculture Organization released a paper that got a lot of people in the West thinking of entomophagy as a practice." • Read more: Bugs are sustainable food, but how do you convince people to eat them? That paper said eating more insects, which pack a lot of protein, could not only combat world hunger but boost nutrition and reduce pollution. It attracted a lot of attention. But some people in Western countries were just grossed out. However, the report also spawned a host of startups in the U.S. looking to cash in on everything from cricket flour to mealworm farms for home use. Ho said that across the world, entomophagy is not unusual and is, in fact, a cherished part of the culture. She hopes their graphic novel can help spread awareness — at least a little. "To this day we still don't really think about it in a mainstream way, especially in the media, especially in food media," she said. "The perception of it as being either gross or 'the future of food' divorced of any indigenous context or things like that is still really persistent. And I think 'Meal' is one little, I don't know, a beacon of light in all that confusion." 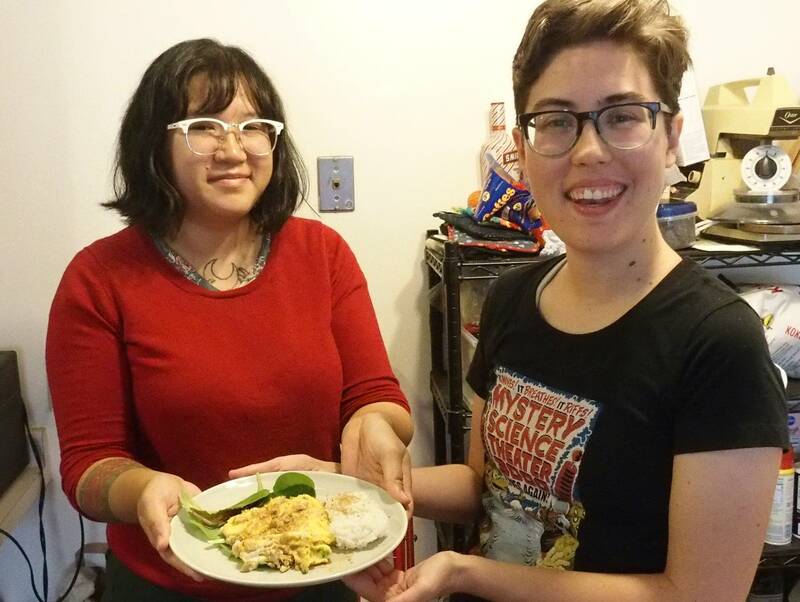 "Meal" is the story of Yarrow, a young woman deeply interested in entomophagy. She moves to Minneapolis because she has heard a well-known chef is about to open a restaurant offering an insect-based menu. Yarrow wants to learn all she can about the cooking side of things but soon finds herself plunged into learning the cultural history of eating grasshoppers and tarantulas. While the diverse employees at the restaurant want it to be a financial success, they also see it as an important expression of their origins. Delliquanti wrote and drew "Meal" with Ho's input. Delliquanti wanted to reflect experiences she had while traveling. "When I got introduced to eating crickets, it wasn't because my hosts in Thailand were pushing it as a 'future food,'" she said. "It was a community activity that they brought together because they loved it and they enjoyed it and they wanted to share something special." "Meal" follows the drama accompanying any restaurant opening. It also touches on Yarrow's search for romance. But it always gets back to the bugs. "So have you eaten bee larvae before?" Ho asked. 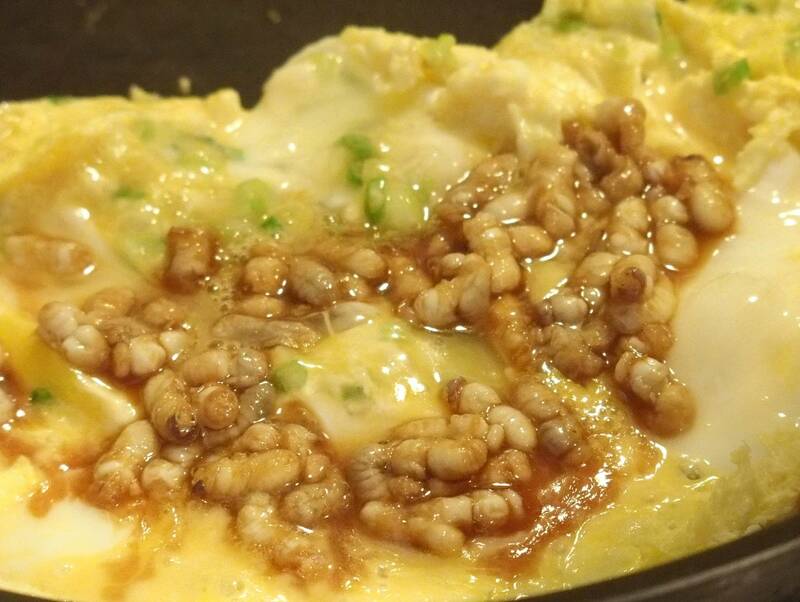 Delliquanti marinated the larvae in soy sauce and sake. After that, the omelet came together quickly. It smelled great. Then came the moment of truth. Sure enough, the omelet was tasty. To my admittedly undiscerning palate, it tasted a little of lobster. Besides the story, "Meal" also comes with recipes for dishes with crickets, mealworms and tarantulas. If this all sounds a little far-fetched, Delliquanti pointed out that Safeco Field, home of the Seattle Mariners baseball team, began serving chapulines, toasted grasshoppers in chili lime salt, in 2017. They were so popular with fans that the vendor had to introduce a per-game order limit.